With the introduction of Obamacare and your employees rushing to find out what insurance plans will work best for them, it is no wonder you are wondering how these changes are going to impact your business. While the world of business insurance is changing, there are ways to keep up with these changes and still provide your employees with the health insurance and benefits they need. But before you do that, it helps to create a realistic budget that lets you offer insurance but still remain within the business assets you have available for these benefits. Here are some tips and resources to help you get started. The first step when creating your budget should always be to decide if you will offer health insurance. While in the past, this was a given, you might want to rethink your plans for 2014 and later years. Obamacare is going to change the necessity of businesses offering health insurance plans and the plans that are available. However, keep in mind offering insurance is also considered one of the many benefits that entice employees and keep them happy with working for your company. Some things to note are that health benefits are cost effective when combining with other benefits for your employees and they improve employee morale. This can help your business advance to the next level, improving your productivity level. Next is the budget factor. No matter how small your business is, you still need to create a health insurance budget before moving further with the type of health insurance benefits that will be offered to your employees. Start by looking at your current or past budget, if you have it. Look at different budget templates. You may need to make some tweaks to it, but it’s a great place to start. Look at your overall business budget and how much you can set aside for health insurance, and start there. Once you have this number, you will be able to then look for insurance plans within this budget. You may also want to compare the costs of individual versus family health insurance benefits. Now that you are working on your budget, think about the types of health insurance that is available to choose from. This includes group health insurance and defined contribution plans. 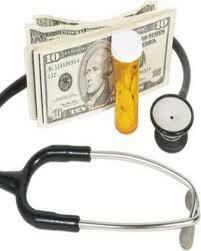 The group health insurance plans are the most common and are sponsored by your business. You will provide these benefits to your employees, who then get a choice of which they opt in for, changing their premiums, plans, coverage and more. Instead of paying costs to a specific plan, you can also offer defined contribution health plan which is a more affordable option and is more of a discounted plan, rather than insurance plan. Moving forward into 2014, you will find that the current health insurance plans you are offering have changed somewhat, but are still available. If you are fine with your budget and these plans suit your employees, don’t stress about making big changes. About the Author: Tina Samuels writes on social media, small business, marketing, and insurance.